The whole of Auroville is seen as an experiment: a field of educational research, a campus for applied learning. Schools and academic studies began in 1970. From those simple beginnings, Auroville now provides schooling from creche and kindergarten through middle and high school. The curriculum includes arts, sciences, mathematics, languages, and humanities as well as physical education and sports. 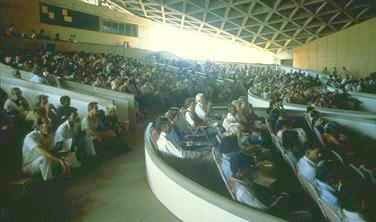 At present, more than 200 Auroville youth are engaged on various campuses and learning environments. All are multilingual with a unique exposure to the cultures of East and West. Cultural activities, from the fine arts to the performing arts, have expanded over the years. 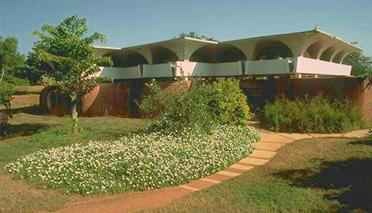 Auroville has dance and music studios, a theater and auditorium, a video center, a library, and an exhibition hall. The Auroville body incorporating these educational and cultural activities is SAIIER (Sri Aurobindo International Institute of Educational Research). See also the education page on the Auroville site.